The area offers something for everyone. 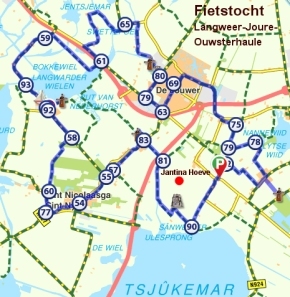 For those who love to cycle, fish, walk or just enjoy nature, the Jantina Hoeve is an excellent place to stay. 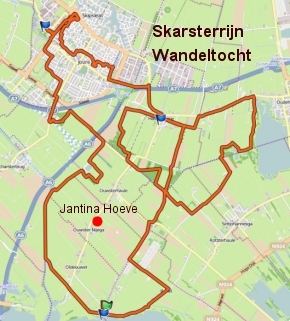 The Jantina Hoeve mini camping is situated in the “Ouwstertrijegeaster Veenpolder” (which is a peat polder). This is near the village of Ouwsterhaule. It was established by my grandfather in 1926. Before that he earned his living by stabbing peat and selling it in the city of Amsterdam for heating the stoves. In 1928 my grandfather bought his first cows and the first milk was delivered. Today we don’t milk cows anymore but there are still animals in our stables and in the meadows. At walking distance you find The Tjeukermeer (the provincie of Fryslan’s biggest lake), where you can swim and the Skasterrynmet (one of the old waterways to the Tjeukermeer) that offers excellent fishing spots. Even closer are the special belfry (the bell dates from 1340) and the old cemetery, where, according to myth and legend, the mysterie of the Frisian “Magyske fane” is buried (for more information: www.de-fane.nl ). 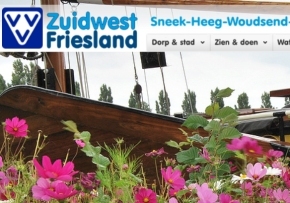 Those who are interested in culture can visit the peat excavation sites that partly shaped the landscape, architecture, myths and legends of this part of Fryslan. A bit further away you find the woody scenery of the Haulsterwoods and the Sint Nieksterwoods. At the Nannewiid lake (mostly called “It Wyde” – “the wide”) you can rent canoe’s and waterbikes. For those who appreciate cities, there are a number of cities to visit within only a 15 minute radius. 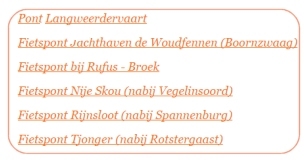 For example the cosy village of Joure (well-known for its ballooning, the traditional ‘Farmer’s Wedding’ and the ‘Jouster Pof’ ), but also Sneek, Lemmer and Heerenveen. We welcome you at the Jantina Hoeve Farm!